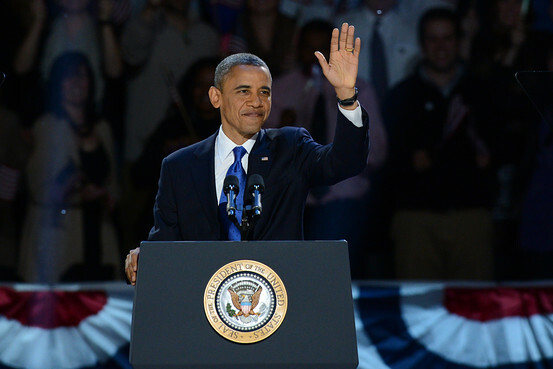 President Obama won the election yesterday, and it turns out that he did so pretty handily. In both the popular vote and in the electoral vote, he is the clear winner. He is the president—duly elected now two times—and we owe honor to whom honor is due (Romans 13:7). But that is not the end of the story. We also owe him our loyal opposition. There’s no getting around the fact that last night was a disaster for social conservative causes. The scope of this setback is due in no small part to the way in which President Obama campaigned and won reelection. In the course of the campaign, the president doubled-down on the three issues that many Evangelical Christians care about most: abortion, marriage, and religious liberty. He appealed time and again to his base by beating the drum for abortion rights and Planned Parenthood—especially at his convention. Last May, he put marriage front and center by coming out publicly in favor of gay marriage. Earlier this year, President Obama put religious liberty on the line when he issued an abortion mandate as a part of his signature healthcare law—a measure that requires Christians and other pro-lifers to purchase insurance policies that cover abortion. On all three issues, the President doubled-down, and he won. Last night’s election is a disaster for social conservatives not so much because of the president’s views, but because the President’s views appear to be a reflection of the nation’s views. For this reason, there are many within the Republican party who are ready to kick social issues to the curb. After the result became clear last night, GOP strategist Mike Murphy told NBC News that Republicans would have to “modernize” on the issue of gay marriage in order to win future elections. He is not alone in this feeling. The traditional Republican coalition of social, fiscal, and foreign policy conservatives may be about to shift. We may very well be approaching an era in which no major political party supports the sanctity of marriage. And it may not be too long before the GOP jettisons life too. All of this means that Evangelicals who care about life, marriage, and religious liberty are going to sound more and more like the voice of one crying in the wilderness. We may find ourselves maintaining our cause with no major political party representing that cause. The pressure will grow for us to abandon what the Bible says about protecting life and marriage, but we cannot and must not budge. We will have to be the loyal opposition to a president who in every way has been wrong on these issues. And we may have to be the loyal opposition to another political party poised to embrace gay marriage rights. I don’t know how all the politics of this is going t shake out in the days to come. But I do know that Christians must not trim their sails to fit the prevailing winds of culture. If the whole country embraces gay marriage, we must stand alone if need be and say, “Let the marriage bed be undefiled” (Hebrews 13:4). If the culture of death sweeps over the entire American electorate, we must stand apart and insist “Thou shalt not kill” (Exodus 20:13). Our convictions are not based on whether or not we have popular political support. They are based on the unchanging word of God. So we must stand fast. We must be the loyal opposition. No Christian should be surprised by our changing political fortunes. Even though we may be American citizens, we know that we are nevertheless strangers and aliens (1 Peter 2:11). We know that here we have no lasting city, but that we are seeking a city which is to come (Hebrews 13:14). Until that city comes, we will seek the good of the city that we are in (Jeremiah 29:7), knowing that our ultimate hope for its transformation is in the gospel of Jesus Christ. And to that hope we give our lives no matter what happens on election day.